Deputies and Trooper Kevin Burman have suspect 24 year old Aaron Wilkerson detained in a parking lot off 190 west. Two Alleged Thieves Caught Red Handed, LIVINGSTON, January 16, 2012 - At approximately 12:20 pm on January 16, 2012, a call came in to the Polk County Sheriff's Office to report a possible burglary in progress at a residence off Pridgen road. Before deputies arrived, the vehicle, an older model Chevy S10 drove away from the scene. Deputies and other law enforcement converged on the area. The truck managed to make it to a parking lot of US-190 West just a short distance west of Wal-Mart. Deputy Billy Duke, Keith Franklin and Lieutenant Mark Jones (all with the Sheriff's Office) caught up with the vehicle. 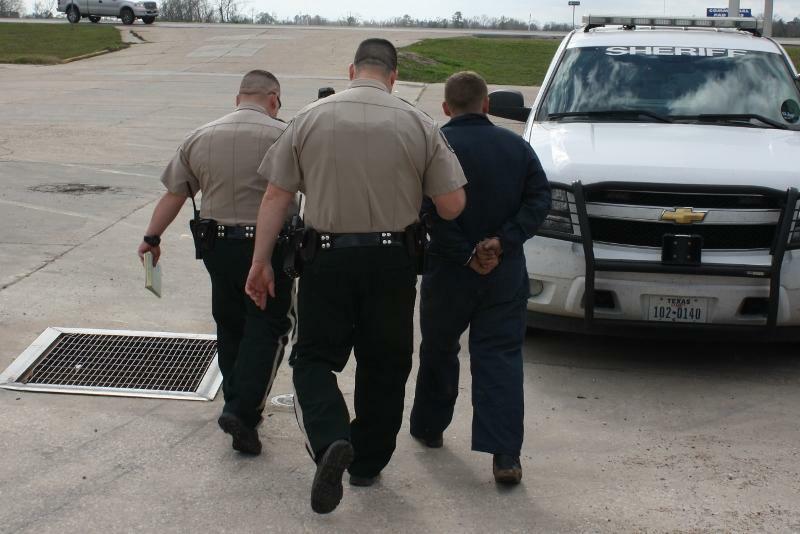 The driver of the vehicle, Aaron Wilkerson, 24, of Livingston, was immediately detained by deputies (who were soon joined by Trooper Kevin Burman with the Texas Highway Patrol and Detective Ken Bohnert with the Livingston Police Dept.). 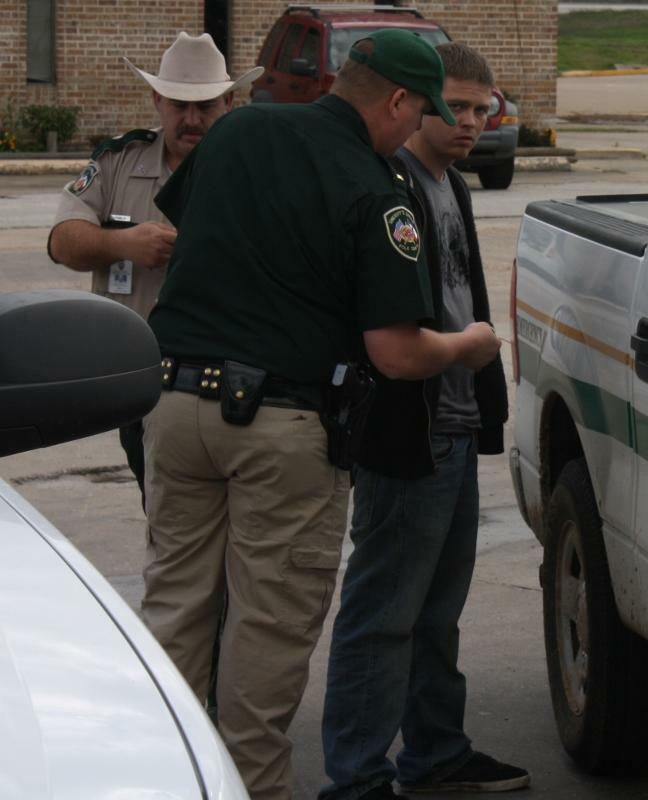 The passenger, Danny Davis, 21, also of Livingston was also detained. 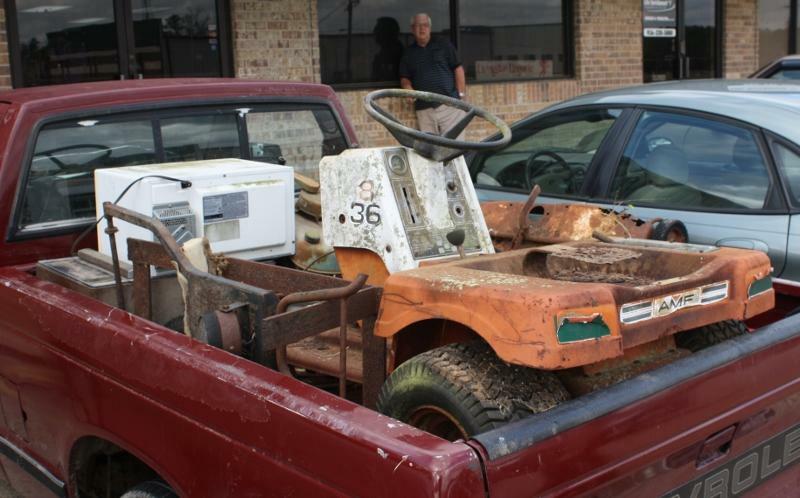 The back of their truck was loaded down with alleged stolen property. Both Wilkerson and Davis were arrested and charged with theft of property. 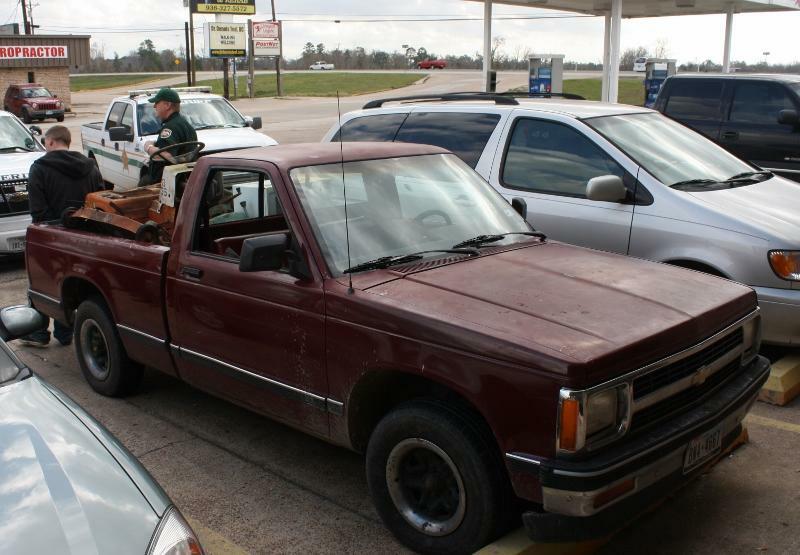 The truck and the alleged stolen property were both impounded by the Polk County Sheriff's Office. 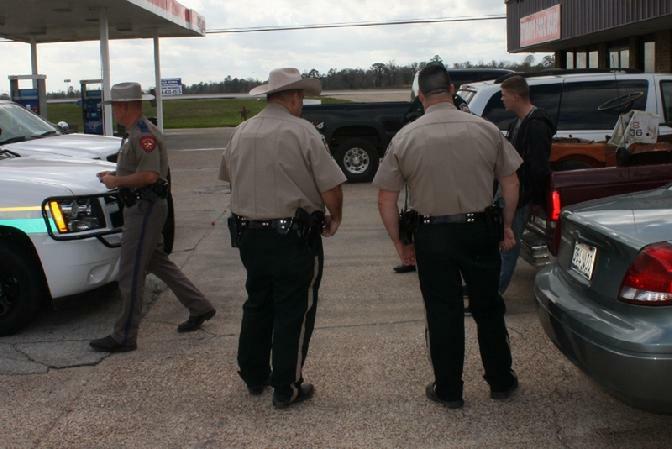 21 year old Danny Davis was the driver and is being questioned by Deputy Billy Duke (left) and Lieutenant Mark Jones. 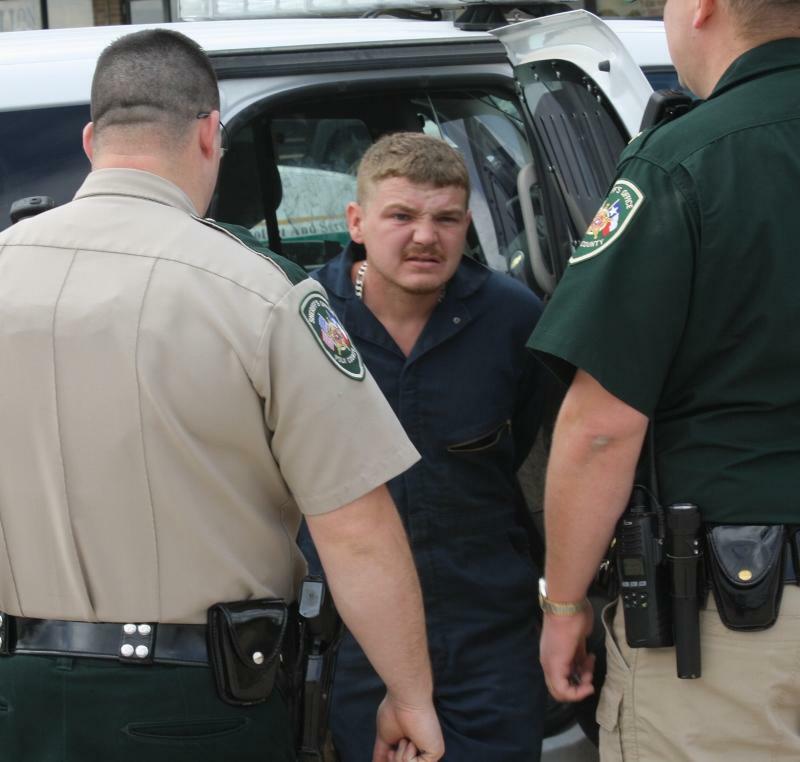 Davis was loaded into a unit and driven to Polk County Jail. 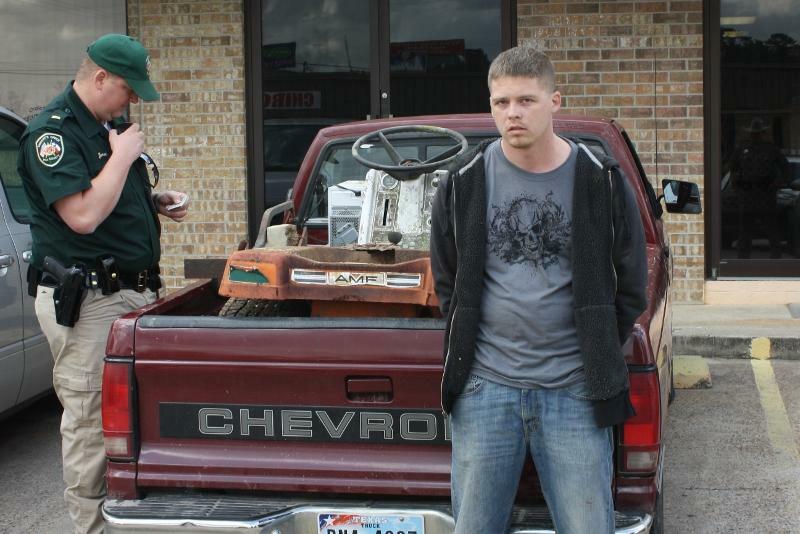 Suspect Aaron Wilkerson is cuffed as Lieutenant Mark Jones looks over the alleged stolen property. Wilkerson appeared weary of the PolkCountyToday.com camera. The bed of the truck was loaded down with rusty old merchandise.